“Students are looking forward to having breakfast with their classmates,” said Principal Mike Smith of Nancy Hill Elementary School in West Aurora School District 129. According to the Food Research and Action Center (FRAC), students who eat breakfast in the classroom experience a sense of community. Children talk about what’s on the menu for breakfast and are excited to eat together. Breakfast in the classroom eliminates the stigma of arriving early to school for breakfast in the cafeteria and labeled as someone that receives free or reduced-price meals. Smith credits research for the transition from traditional cafeteria school breakfast to an alternative model. “Kids were not eating breakfast and coming to school hungry. Research shows that kids perform better in school when they have had a healthy breakfast.” Children who eat school breakfast reach higher levels of achievement in reading and math, concentrate better, retain more of what they learn, and are more alert. Nancy Hill received a school breakfast grant to implement Grab ‘N’ Go in 2015. 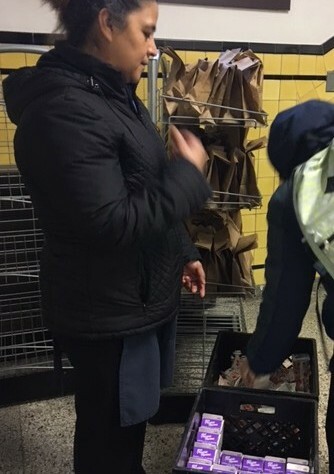 Second through fifth grade students grab breakfast and milk off racks stationed in the hallways by entrances, then head to their classrooms. Breakfast is delivered to kindergarten and first grade classrooms to ensure smaller kids get everything they need – breakfast and milk. “They may forget to pick up one or the other and need assistance in opening breakfast items,” explained Smith. Smith discussed how students at Nancy Hill have benefited from Grab ‘N’ Go. Before implementing the alternative breakfast program about thirty two percent of students ate breakfast at school, after implementation the percentage more than doubled. “Discipline referrals and visits to the nurse by students complaining of stomachaches because they are hungry and need a morning snack have decreased.” Without these class interruptions teachers are experiencing more instructional time. While children are eating breakfast, teachers take attendance or start the lesson plan for the day. 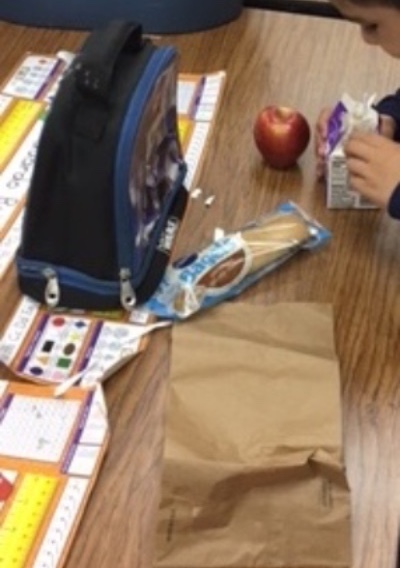 Smith expressed that it was “super easy to implement an alternative breakfast program.” Grab ‘N’ Go “gives students a sense of responsibility.” Students are able to take control of their day and lives by grabbing breakfast in the mornings. After all each student is a scholar…an athlete… a friend…a dreamer…. and a world changer. “We have done more than take care of basic needs; we have created a culture in the classroom and school as a whole,” said Smith.